n the '60s, the records to dance to were Motown records. "Baby Love," "Dancing in the Street," "I Can't Help Myself (Sugar Pie, Honey Bunch)," "This Old Heart of Mine," those were the songs you needed at a party if you wanted to dance. But in the decade that followed, the best dance music was no longer coming from Detroit. The disco movement was centered on the East Coast, and other cities provided the music people wanted to dance to -- hits like "Rock the Boat," "Rock Your Baby" and "Get Down Tonight." "No one really liked disco here at Motown," producer Hal Davis said in J. Randy Taraborrelli's biography, Diana. "The company wasn't heavily into it, so I figured I'd take advantage of that. When I did the track for 'Love Hangover,' I knew it was a hot track. But when I played it for Diana, well, she wasn't too sure about it. She was used to singing more lush songs by producers like Michael Masser and the public sort of identified her with arrangements like "Touch Me In The Morning." She liked the lyric to 'Love Hangover,' but people thought I was a little off for even suggesting that Diana do this song." "Love Hangover" was the second and biggest single from Diana Ross' eponymously named 1976 album. 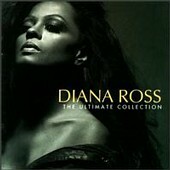 In Oct. 1994, Motown released One Woman: The Ultimate Collection (above), a 20-track compilation of her best solo material from the 70's, 80's, and 90's. "So at that point, I had them turn the lights on and we had the place jumpin' like a disco. That's all she needed; she just took off after that. It turned out to be a lot of fun for her and she even improvised a little Billie Holiday in there that I didn't expect. There's even a part in there where she's laughing on the track. I didn't edit it because I wanted to keep that sense of spontaneity." Diana is quoted by Taraborrelli on the session: "It was a spontaneous thing that we captured on record and if I had to go back in and do it again, I couldn't have. The music was me and I was the music. Things came out of my mouth that I didn't even expect." Even with three number one singles, Diana's solo recording career was erratic in the '70s. In 1974, a depressing ballad called "Sleepin'" went dormant at number 70. That was followed by "Sorry Doesn't Always Make It Right," which was her first solo single to make the Billboard Hot 100. She rebounded with a number one single, "Theme from Mahogany (Do You Know Where You're Going To)." For a follow-up, Motown went with another ballad, "I Thought It Took a Little Time (But Today I Fell in Love)." The first single from the Diana Ross LP, it was moving slowly up the chart when people began to take notice of another track on the album, "Love Hangover." Among those taking notice were the Fifth Dimension, who had reorganized since the departure of Marilyn McCoo and Billy Davis, Jr. Signed to ABC Records, the Dimension released a single of "Love Hangover." Motown reacted quickly by rushing out Diana's single. Both versions entered the Hot 100 on April 3, 1976; Diana debuted at 78 adn the Fifth Dimension came in at 95. Three weeks later the Fifth Dimension had peaked at number 80.